Nice to see you back on the site. Belha and I will try our best to be there. With less than a month to go, I wonder how many can actually commit to coming to the show? A few have mentioned they will come, some are defecting. Phil & Belha Claret Version L Probably coming. Allie Black SVX from Scotland. Coming this year? Norman Silver 3-tone. Probably coming Norman? Michael Claret and Black. Coming this year Michael? Brett Black SVX from Cardiff. Coming this year Brett? Ian Bright silver UK [the only one we currently know about] Will you be around Ian? As that list stands we could have as few as 5 cars this year, maybe 6. If everybody comes, we could have 12. Or more. The more, the merrier. Could I ask you to please amend this list if you think you can come? Last edited by svxistentialist; 06-25-2007 at 10:14 AM. Just to let you all know I have received confirmation of our stand at JAE this year. When I can get to the scanner I'll post up all the details and the map with location of our pitch. Graham has the SVX Network banner since last year. He will be there Saturday and Sunday, as will I. However, there will be no banner till Graham arrives, so if anyone gets there first, just organise the parking of the cars. As I am flying over, I will not be able to bring chairs, pavilions or anything like that. If anyone has such luxuries, please bring them along. We need all the shelter we can get, if last year's weather repeats!! As the Lockers are under construction at present I am unable to upload the site map for JAE for this weekend. It's not a very good jpg of the layout but it's all we've got. I can't quite work it out in relation to where we've been put before, but I'm sure the first on scene will work it out. Thanks Ahmed. It's a shame you could not come. We had a very poor turnout this year, only 3 cars. Both days! The weather and the flooding would have had an effect on attendance I am sure. Or perhaps JAE has just lost its drawing power, its shine, who can tell? I will not be in a rush back next year, I think I will just add the four days to my bike trip, and tour the continent. It may be more rewarding. I have to agree with you Joe. It was great to catch up with you, John and Graham, but overall the weekend was a let down. Having seen the JAE show four times now, our only reason for going was to meet other SVX owners. There's no point in having an annual SVX meet if nobody can be bothered to turn up. We'll probably give it a miss next year. I think the lack of turn out was down to the weather & people being told it had been cancelled! I was coming down with a couple of friends with the skyline crowd and they were told it was off by the organisers, we were pretty P**sed off to find out on Monday it hadnt been. 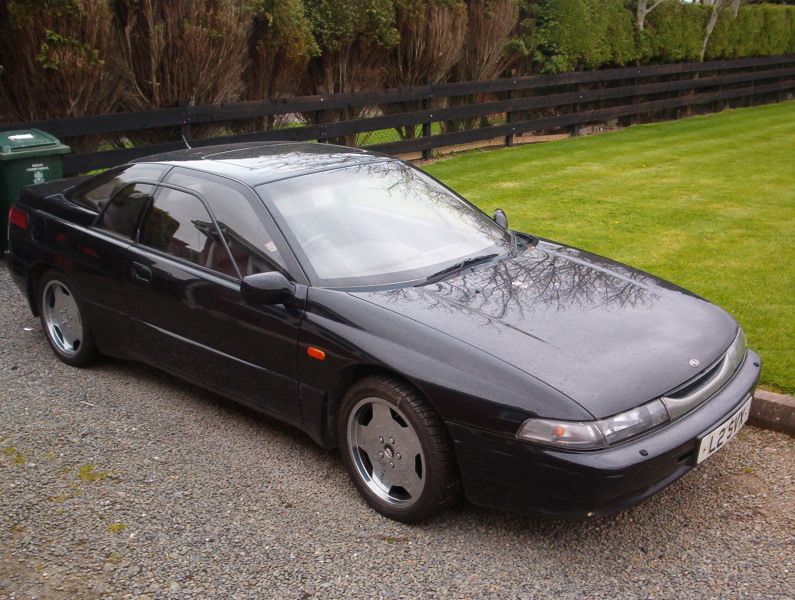 11/94 SVX Alcyone, Mica Black, VL Spec 4WS, 71K Miles, 1 owner from new & was part of a private car collection in Japan. You can tell the men from the boys from the speed of their toys. I wonder where they got that idea? I'll post some photos of the event soon. I was talking to our friend from the SXOC (Nissan 200sx club). He said one of their members was killed in an accident on the way home from the JAE. Just confirming attendance for JAE '08 Good to hear that there are still a privileged few out there!! You know what they say about the SVX, is that the only thing it can't pass is - a petrol station!! Sorry this year was a let down. I had an unexpected op and my computer also went on the blink and bucket! The SVX is a fine car and the longer I have it the more expensi... oops! the more I love it! There still isn't much out there that turns people's heads like an SVX, which is good. 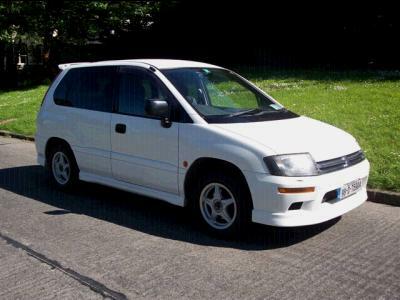 This year it got a quite few high speed blasts ( topped 70 ), these evo's and sti scoobies don't know what commitment is, or the Fiat punto turbo that kindly let me past and then booted it prior to a corner! ( bet they don't change ratio mid bend if you back off), however couldn't let the side down and did what any self respecting mature driver would do - left it standing ( hope he visits this site.) I think he now drives a BMW, cant quite make it out in the rear view. Does anyone have some good stories??? preferably about their SVX life, but buy no means essensual. Joe, mind boggling knowledge about the headlights way back. Nice to hear from you.